Incredibly long leaves from the banana tree, the banana leaves have a beautiful deep green color and a strong fragrant smell. They are often used in Mexican cooking to wrap and cook many kinds of foods including tamales, meats, fish and poultry. They are both malleable and strong. Cooking in them not only concentrates the flavors of the wrapped ingredients but it also infuses them with a grassy, intensely aromatic and fresh feel. Banana leaves used to be hard to find in the US when I moved here more than a dozen years ago. 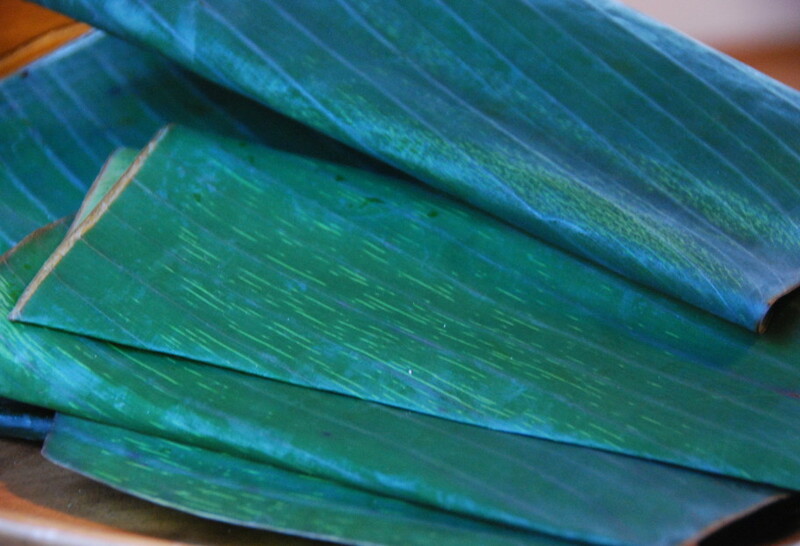 Yet these days, banana leaves can be found in many large grocery stores in the frozen vegetable sections as well as in Latin and ethnic shops.